Yes, we have great news for all the boys and girls of West Cork and surrounding areas this week! Santa and Mrs. Claus have let us know that they will be visiting again this year and spending a few days on the beautiful Sheep’s Head Peninsula! 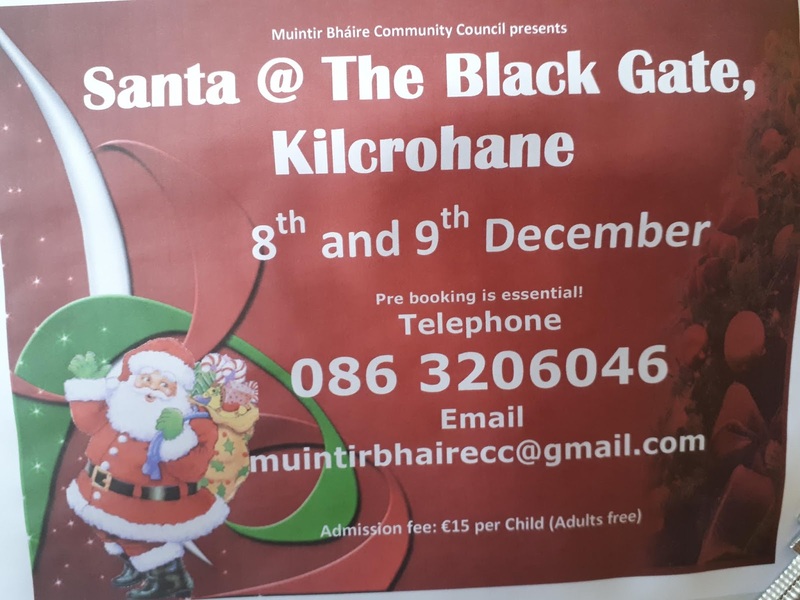 They will be staying at The Alice West Centre (The Black Gate) near Kilcrohane and are looking forward to meeting all the good boys and girls on the 8th and 9th of December. To find us follow the red nosed reindeer placed along the shores of Dunmanus Bay. A big fire will welcome you as you come in the door. Take a moment and relax beside it with a cup of tea or treat yourself to a glass of mulled wine and mince pie. Soak up the children’s laughter and watch their faces as they relay the events of the evening and open their gifts. Visit the life size live Crib, say hello to the goats Holly and Ivy, and hear Ned sing along with the children. Free hot chocolate and marshmallows for all the kids. Buy a ticket for our big Christmas raffle and be in for a chance to win some fantastic prizes sponsored by local businesses. 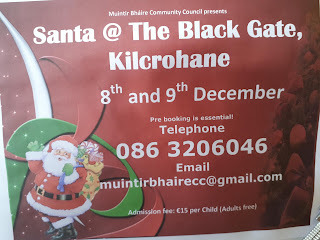 This is the sixth year of this wonderful Christmas adventure, run and hosted by the Muintir Bhaire Community Council. 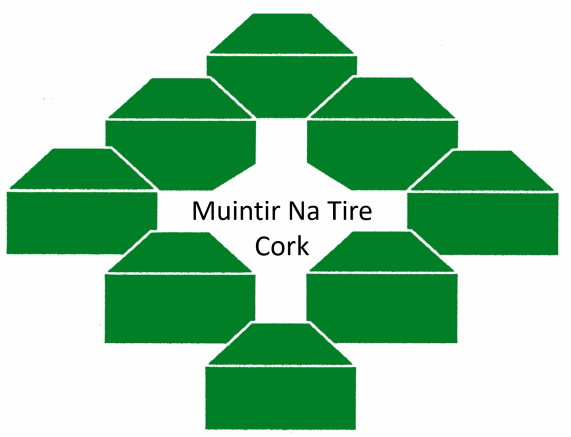 “There is a huge volunteer work force over the weekends leading up to, on the days of the event and after and without these people the Committee couldn’t run a weekend like this” says Annette Nicholas, Secretary of Muintin Bhaire Community Council. The funds raised from this weekend go back in to other events run by the Community Council, like Halloween parties, Easter egg hunts, family fun days, and summer camps. So get ringing or e-mailing and book your spot and join us in all the Christmas fun! Youth Book Club Volunteers Wanted!